Summary: Halloween festival is coming! 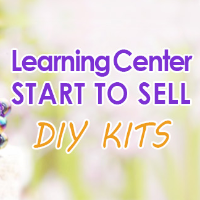 Learning Center put forward a new project about collecting jewelry/craft making articles of Halloween topic. Welcome to submit articles to win COUPONS! To celebrate the coming Halloween, Learning Center send a surprise to you. If you send article from Jul.4 to Oct.4 and your submitted article is adopted by us, you will be rewarded by coupons. The coupons are up to $30 from $10 . You may wonder how to get big coupons. The following information will show you the detailed requirement of your article. Read the following requirements carefully which will help gain high coupon. 1.The craft work should be made by you personally. 2.The craft work should be related to Halloween topic. 3. The article you submit is to be edited by us; therefore we require Microsoft Word doc and HD photos. 4. We require clear pictures including material picture, step-by-step pictures, finished work picture; the size of finished crafts picture should be about 680*330, the other pictures should be 600*400. 5. Besides clear pictures we need good writing skill, a good beginning paragraph will arouse readers' interests, detailed words descriptions to tell how you do it step by step, one pic with a description would be appreciated. 6. 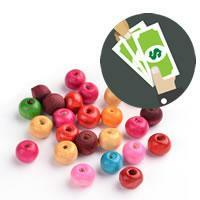 The material you list should be given the item code from our website Pandahall. If you invite your friends to submit articles to us, and her /his article is adopted by us, you will gain $20 coupons . After you invite your friend successfully, please notice us by email. Action at once! What we need most is your DIY, so the photos you use should be photographed by yourself, rather than copied from other places. At last, please send articles in doc and photo in folder. Send email to [email protected]; any question about reward and article is always welcome! When email us, please indicate "contribution for coupon reward" in subject line!